CUPE municipal and library workers make our public services better—and better services mean better communities. That’s the message BC commuters will see this fall and winter, as CUPE’s new municipal workers campaign hits newspaper, billboard and transit ads from Pemberton to Hope. After months of planning, the campaign kicked off with launch events across Metro Vancouver and the surrounding region in August and September. The campaign highlights the important work that CUPE municipal and library workers do to support the community and educates the public about the whole team of CUPE workers behind the services that they count on every day. 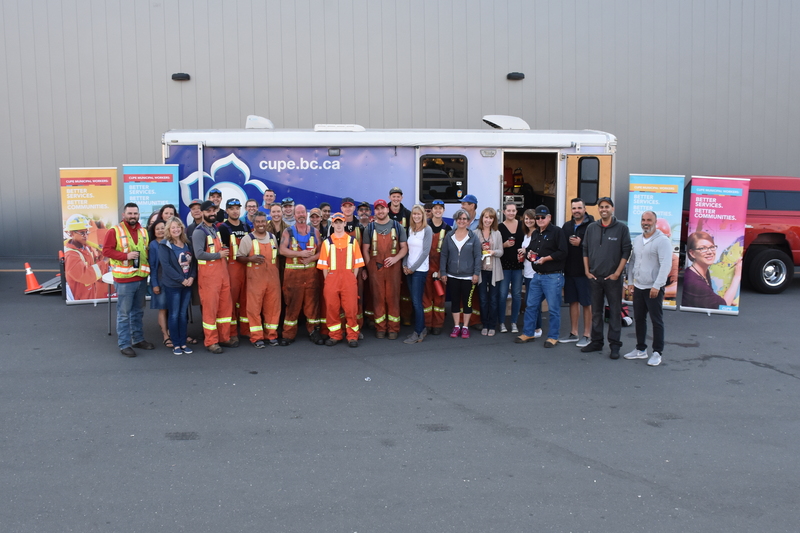 From breakfast events in Pemberton and Surrey to community barbecues in Whistler and Squamish, community events were held across the region for CUPE locals to show appreciation for their members and get them involved with the campaign. A live action campaign video was also produced that members shared widely and proudly on social media. In the coming months, the campaign will be replicated in other parts of the province to further promote the many ways CUPE municipal and library workers make our communities a great place to live. Work is also underway to consider how the campaign might evolve to address issues such as precarious work and workplace safety.